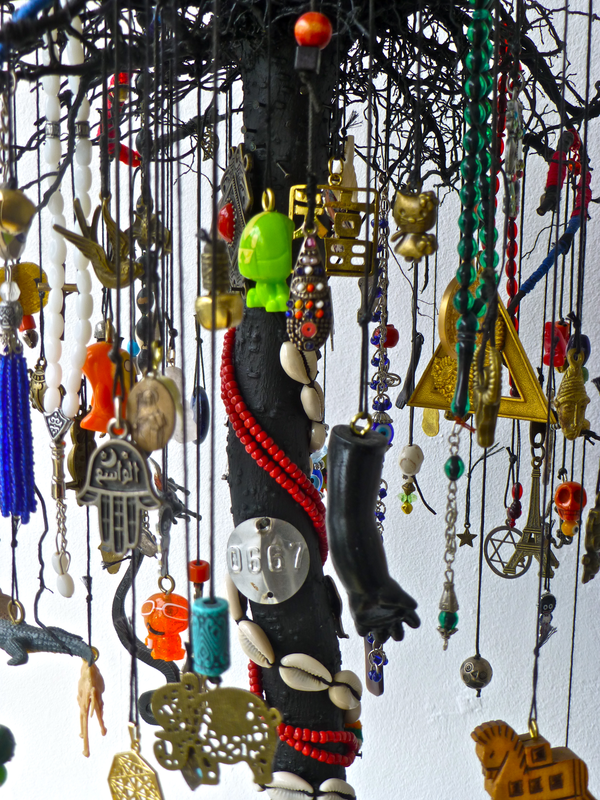 Whilst travelling in Turkey I began collecting objects for my Universal Magic Tree. 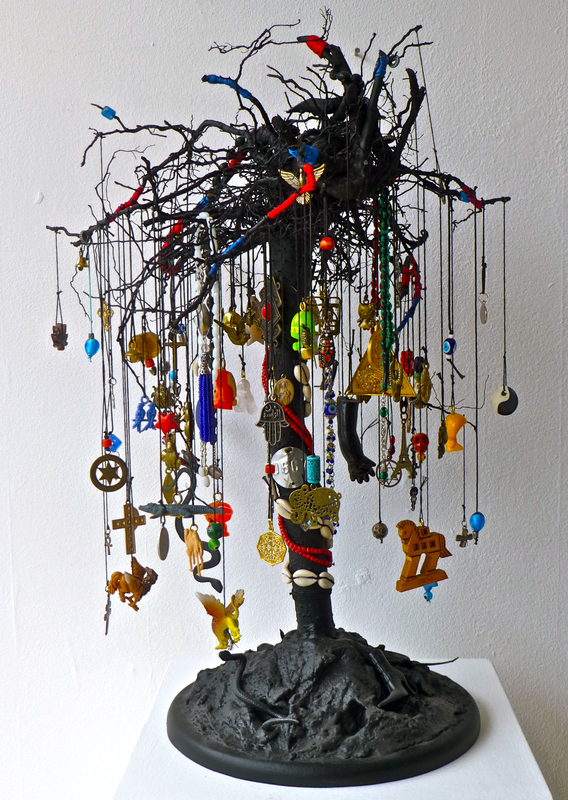 A tree root set on a wooden base it is hung with a variety of amuletic objects, religious symbols and objects of desire. Curious about the way belief systems are manifested visually I have hung my collection of 'precious' objects alongside more contemporary and sometimes seemingly frivolous objects. Each one has a meaning for someone no matter their age, ethnicity or belief system.